August is PA Produce Month! Do you love veggies, but aren't sure what's in season right now in PA? Not to worry, the Pennsylvania Vegetable Marketing & Research Program's got you covered! If you're not so much a produce person and need a little encouragement when it comes to the veggie department, try these methods via PA Produce to help get your daily intake! 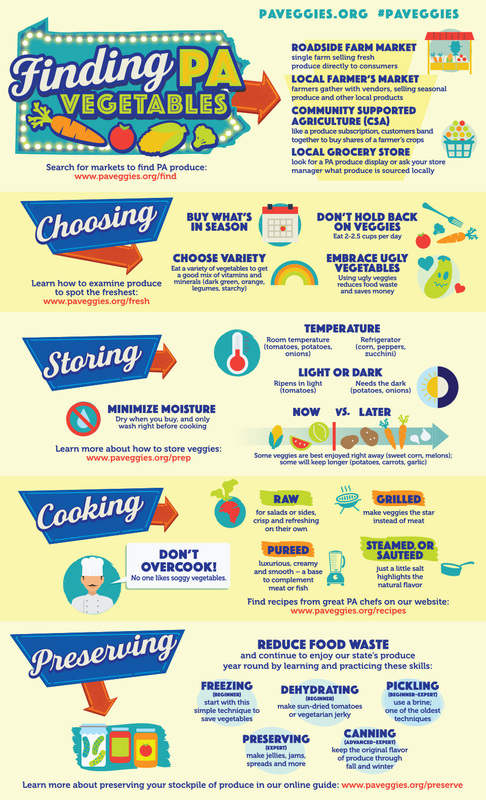 For more information on PA's veggies, check out the infographic below courtesy of www.paveggies.org .